Background: Heterogeneity in disease course exists within multiple sclerosis (MS) subtypes. Objective: The objective was to estimate disease course heterogeneity over three distinct onset periods (pre-1995, 1995–2004, and 2005–present) for men and women. Methods: Group-based trajectory model (GBTM) was used to estimate clusters of patients following stable or unstable disease progression trajectories based on the Expanded Disability Status Scale (EDSS). Inception cohorts were generated from the Montreal Neurological Institute MS Clinic registry. Stable trajectories were defined as an EDSS ⩽3.0 and change ⩽1 point over the study period. Annualized relapse rate (ARR) based on the first 5 years of disease was an explanatory variable. Results: Proportion of women classified as stable was 0% for pre-1995, 69.0% for 1995–2004, and 83.9% post-2005; for men, these proportions were 18.4%, 41.4%, and 53.8%, respectively. Men had lower percentage of stable disease than women in both post-1995 cohorts (chi-square p < 0.0001). ARR was associated with higher disability trajectories in both post-1995 cohort (odds ratios >1.0) but not in the pre-1995 cohort. Conclusion: Large proportions of patients remain stable at their initial disability level for at least 15 years. Higher ARR increases the odds of patients being in a higher disability trajectory in the latter cohorts. The results speak for themselves over the past decade it is clear that people are fairing better and more people have stable disease compared to the pre-DMT era. Yet more info for the do nothing brigade who stay clear of potential treatment. The message is do nothing and you may pay the price. Pre 1996 before interferons and 0% stable to post 2005 89% stable. Whilst DMT will be part of the equation remember a the era of highly effective DMT. This blog is better than any MS nurse I have been in contact with regards to the correct information about MS. 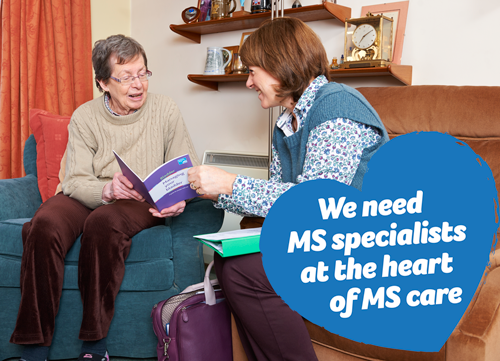 I'm sure there are many MS nurses that do a great job. Norse goodness of love….loves to kick my arse when I'm out of line:-). This seems to indicate MS is not that progressive for females diagnosed in the last 10 years? What was the sample size and study length as these stats seem to be at odds with MS being a tough progressive condition.